Create your enviously infinite eyeshadow collection and play with high-impact colour and texture combinations with the new Pure Color Five Color EyeShadow Palettes and Pure Color EyeShadow Duos. Your new wardrobe of colour includes addictive shades that vary in intensity and finish and contain exclusive technology for a flawless, colour-true application that is inimitable. With 56 new shades that are each unique to their own compact, your world of colour is now endless. The complete Pure Color EyeShadow collection now has 76 shades ... How many looks can you create? Pure Color Five Color EyeShadow Palettes are expertly designed to give you multiple options in your eye looks, offering you the ability to turn your daytime look into a playfully naughty look for night. With the flirtatious makeup lover in mind, eight new palettes are introduced in richly striking colour and texture combinations from barely there nudes to intensely bold blues and gorgeously envious greens. Each palette holds five powerfully complementing shades that are designed to work together whether you use just two shades or all five. Relish in the creative options and start building your couture collection of shadows from this intensely comprehensive colour collection. Expand your charismatic collection of masterful beauty with the new Pure Color EyeShadow Duos. 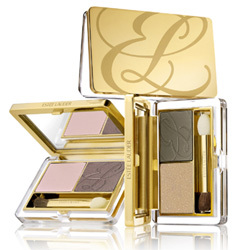 Created for the makeup master who wants to build her Pure Color EyeShadow collection or for the novice who wants to create a simple, focused makeup look, these fashionable pairs can be used alone or combined with shades from the Pure Color EyeShadow collection for a unique and customised eye look that is all your own. Add a touch of trend with one of the bolder pairs or update your everyday with a necessary staple using one shade as a contour and the other to accentuate and enhance your look. 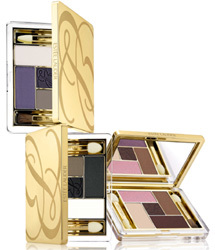 Pure Color Five Color Palettes and Duos now join the spirited collection of Pure Color EyeShadow Singles. Creating endless versatility, each palette, duo and single contain unique shades where none are repeated so your wardrobe of colour is constantly evolving into a unique blend of hues and textures.